We know that Pokémon's pretty popular, and that the series tends to collaborate with other franchises, retailers, and anything else going, but this is one tie-in we never thought we'd see. Introducing the Edvard Munch x Pokémon Trading Card crossover. 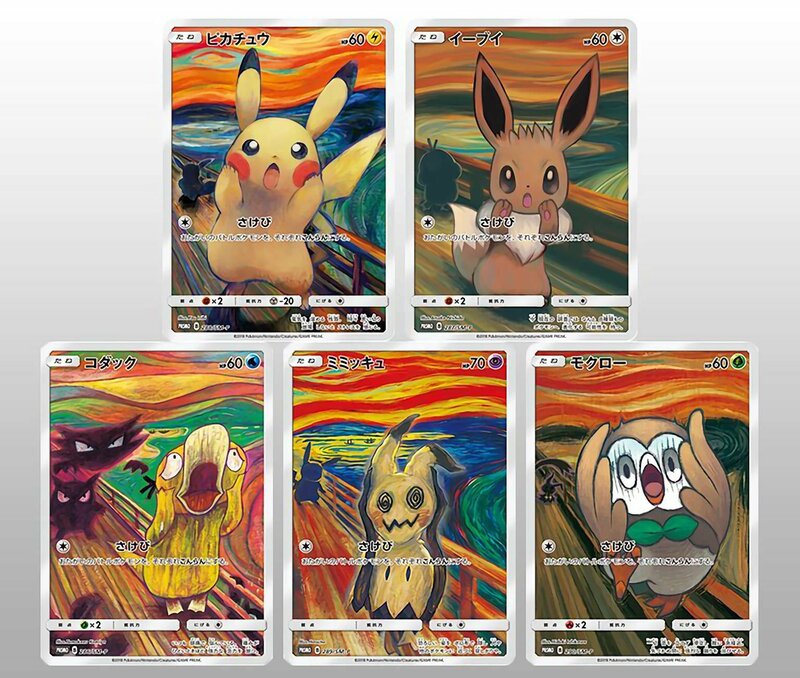 With designs for Pikachu, Eevee, Psyduck, Mimikyu, and Rowlet, the cards are clearly inspired by Munch's hugely famous art piece, 'The Scream'. The cards (which you can also see on the official Pokémon card website) have been created to tie-in with the "Munch: A Retrospective" exhibition set to take place at Tokyo Metropolitan Art Museum from 27th October to 20th January. 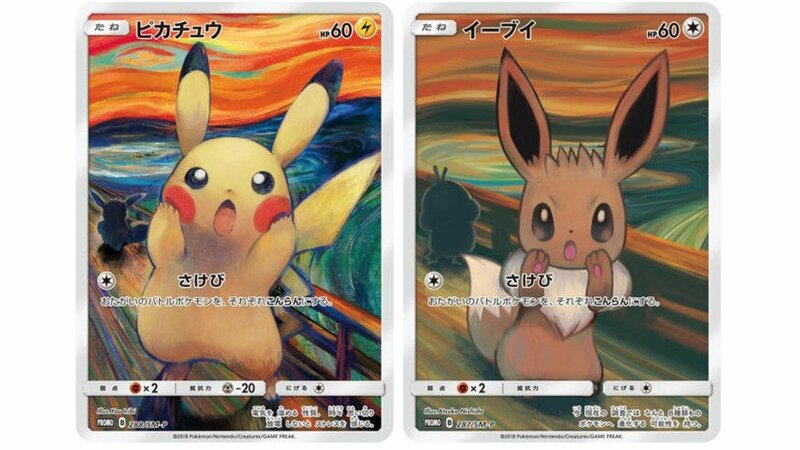 The event will showcase the real art piece for the very first time in Japan, with the Pokémon cards acting as souvenirs which can be purchased from the Tokyo Metropolitan Art Museum and Pokémon Center Online. According to ResetEra member, Forkball, the attack featured on each of the cards is called 'Scream', with the descriptive text underneath saying "Make both battle Pokémon confused." If you're a collector of all things Pokémon, grabbing a full set of these cards will no doubt be going straight to the top of your to-do list. Would you like to own your own copies of these cards? Let us know with a comment below. Hahaha, I love it. I'd get one if I could but I don't really collect stuff. That and getting one would be tough, I'd imagine. Ah, but are they screaming, or hearing a scream? @AlexOlney I think they're all hearing Mimikyu's scream. In their heads. I'd say Psyduck started screaming and then everyone else joined. The cards seem to start with Psyduck. Or, Haunter screamed, which got Psyduck going and things escalated quickly. For some reason I think Mimikyu sells it the best, even though it’s not actually screaming from what we can see. The others are just too kawaii and it loses its effect. @ItalianBaptist There is nothing cute about that horrified Psyduck. Well it was an Expressionist work so really makes no sense they just painted there As-is. Also, a few versions of this painting. The one people recognize is the original (1893) - That will not be in the Japan exhibit (it is the 1910 one). You need to go to Oslo to see that painting. I want that Psyduck card. I like how they follow each other. The Pokemon in the back scared the one in the front. @Agramonte ...What? I'm horribly lost on what you're trying to convey. I wanna catch all five of these! Honestly the psyduck looks best. Pikachu, eevee, and rowlet just look cute and mimikyu doesn’t work well without a mouth. Psyduck looks terrified. Finally! I've been waiting for something like this for a long while! Personally, gotta love the Pikachu one just because his paws are on his cheeks. Eevee expression was not so dramatic as the other Pokemons. This is one of the very best things I've seen in a while. Hmm... would it be considered the Scream or the Cry? I collect these, but the conditions for getting these and the general shortage of Pokemon cards in Japan is going to make this a nightmare. I predict £80 plus for the set on eBay. It's a shame they didn't go further into molding Pikachu & Eevee into the expressionist style but I guess they wouldn't be cute if that way. What would be horrifying is to then have one with Yoshi happily smiling as is, mixed in with the others. Now that is creepy. I would buy them even though I haven't ever played the card game. These are Awesome!! Those ghosts terrified poor psyduck. If you look these cards all go in order. It starts with Rowlette and goes all the way to psyduck. The reason I say this is because if you look at the silhouettes behind the pokemon, you'll see that they haven't started screaming yet, meaning that psyduck couldn't be the first to scream. I might have to make a weekend trip to Tokyo soon. I found another Pokemon the Scream from Google. It bugs me far more than it should that Eevee's paws are the wrong way around for the iconic Scream pose. 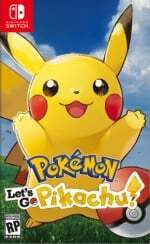 It looks more like it's cupping its hands to shout at the Pikachu in front of it than wailing in terror. didnt they say if you look at the ghost pikachu you die instantly. Um. I’ll be sleeping with the light on now.